WAFABCO | The Wapello Open Top! 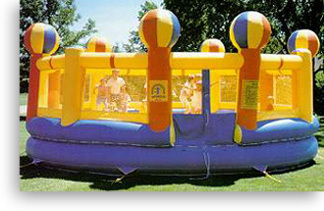 The Wapello Open Top inflatables are perfect for indoor or outdoor applications. Standing only nine feet tall, they easily fit into shopping malls, school gymnasiums or other recreational areas. 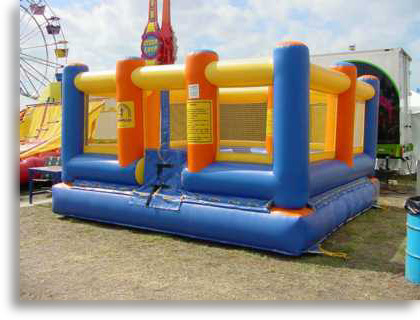 Our open top inflatables are easy to operate and safe to use. The netted windows improve visibility for operators and customers, the limited entrance size affords easy monitoring, and internal air chamber construction provides a firm, low profile playing surface only 32" high. Available in several sizes... our open top models are universal in appeal, attracting kids of all ages.